The upcoming game and a “Prequel” of sorts. 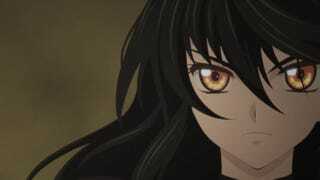 Now, according to the to the information about the second screening of this anime, the chapters “#05 and #06" will have a connection to Tales of Berseria, there it is to say that technically these chapters are 6 and 7 since the first chapter was called “#00". Tales of Berseria is a standalone entry in the franchise, still it is a some form of prequel since the history happens in the same world as Zestiria, although lots and lots of years in the past, so many that the events of Berseria don´t have much to do (if any) with Zestiria and viceversa. The Anime can be watched in Daisuki and Funimation and it´s quite good!